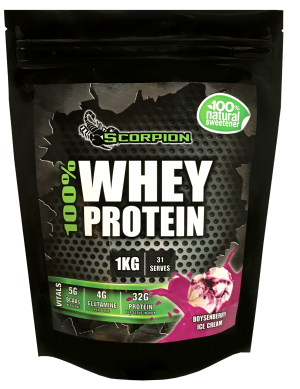 Scorpion Creatine Monohydrate supplies high quality 200 mesh pure micronised creatine for maximal absorption and effectiveness! 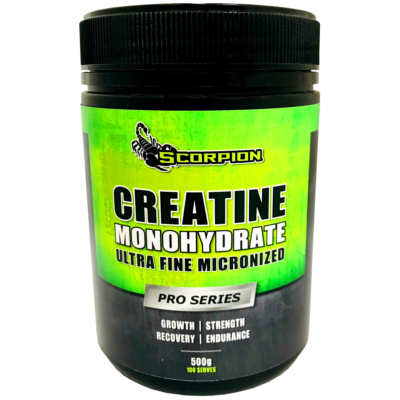 Creatine Monohydrate is regarded as the most effective sports supplement ever developed due to its ability to assist athletes of any sporting code. 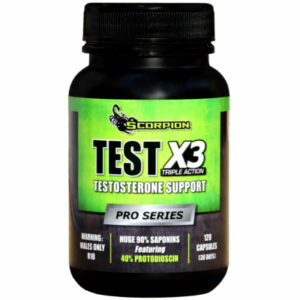 Creatines popularity has soared over recent years as more and more athletes experience the amazing benefits of this super supplement. 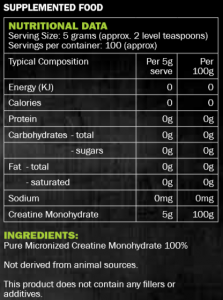 Creatine assists on all anaerobic levels; it is the first choice supplement for muscle growth and strength gains! 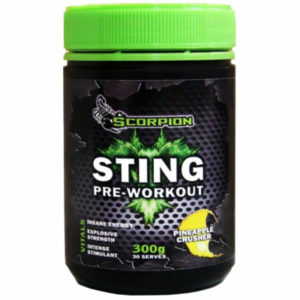 Mix 5g (2 level teaspoons) in 200ml of water. Repeat daily.